'Ello there all! Arkevilex and I have decided to tackle this contest. 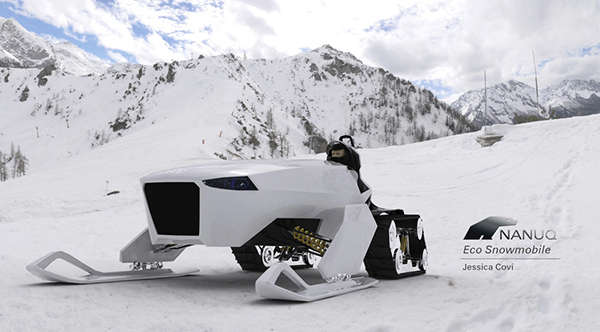 We're going for a sort of cybernetic sled dog team. I'll be working on the dogs while Ark models our musher, and we'll both be picking away at the sled. 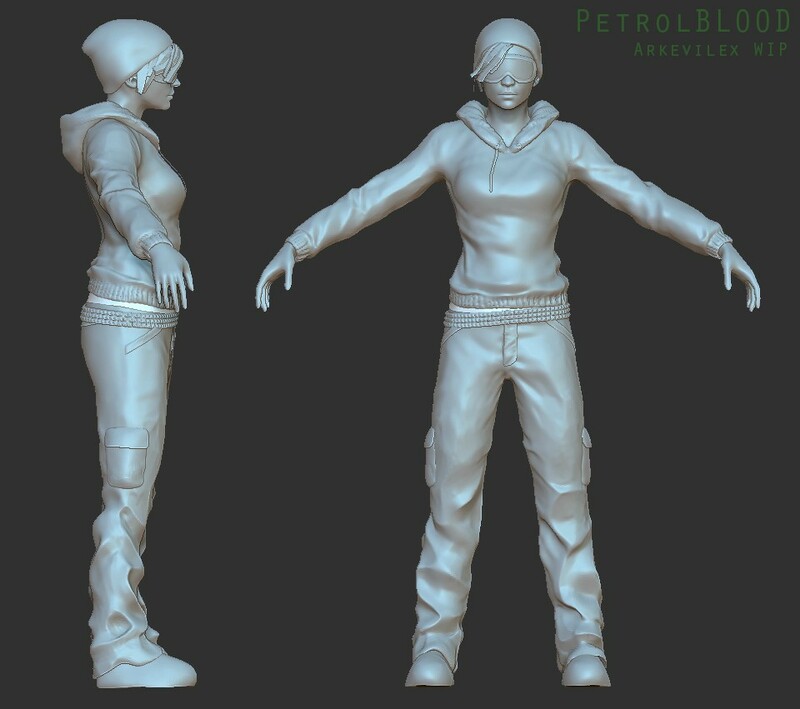 So we'll be looking to model something like that, along with some guns for good measure. I started with some super rough thumbs in Alchemy to find a couple interesting silhouettes. After considering weight, however, we'll probably be going for something more along the lines of the top and bottom left ones. Aaaand here's where he currently stands. Currently detailing the fur using mostly Clay Buildup. And of course, I'll be using cards on certain areas to get the coat looking nice and fluffy. I may experiment with some shells too, but we'll see. I'll be modelling the exoskeleton shortly after I finish with the fur. Looking cool man! I like the center right on the bottom row with the head still exposed. 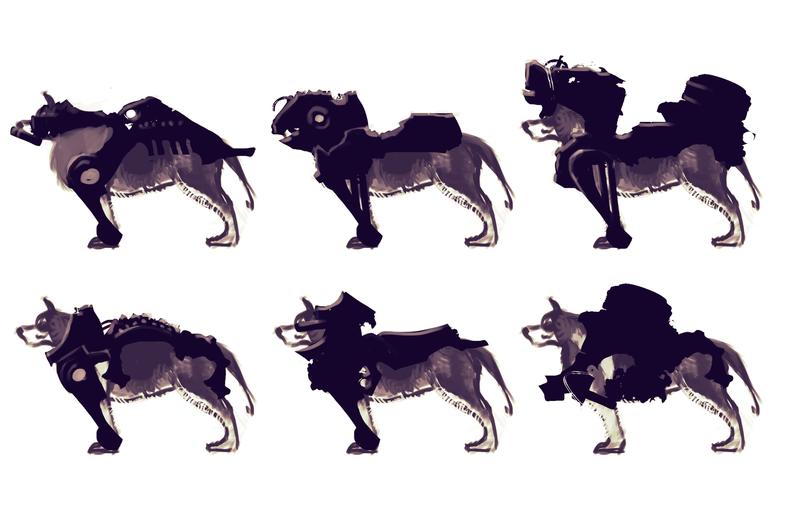 Bottom right on the wolf/dog concepts, so cool! Haven't had the chance to upload the character stuff. 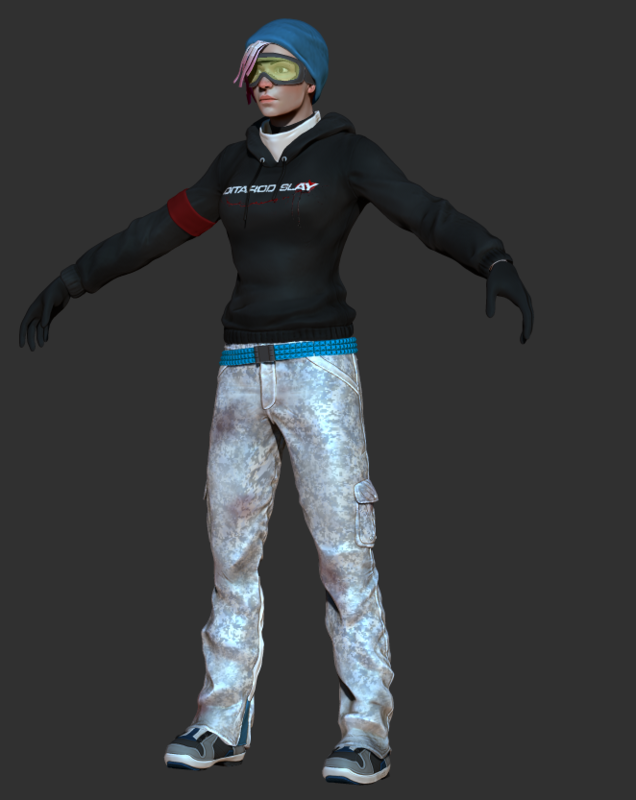 We're doing a punk snowboarder dog lover chick as the musher. Here is the reference board for the character. 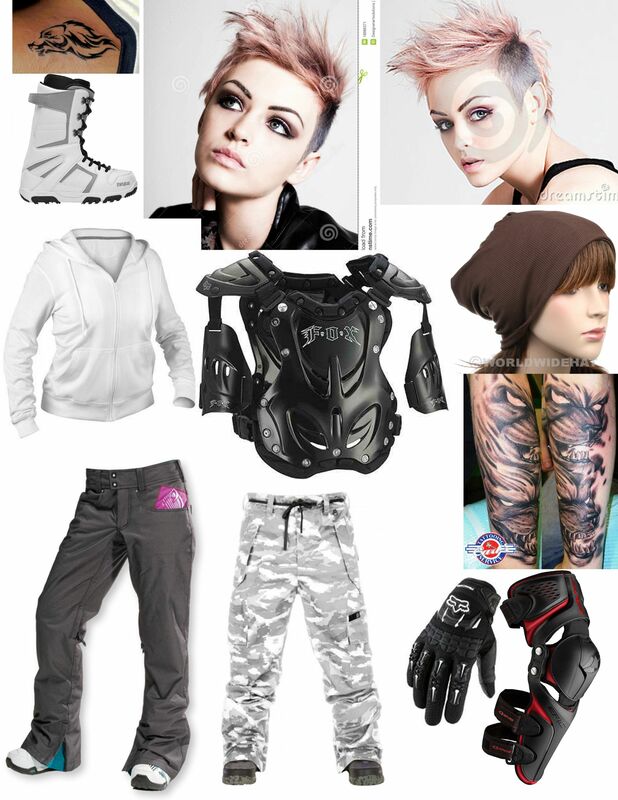 I was going to as motocross gear but decided against it due to time. And here is the WIP as of today. Looking awesome! loving the design...we finally get some updates after 200 years..
- Jedi Harry Potter VS Darth Voldemort(WIP)"Current"
This is really looking cool. (no pun intended). I am a big fan of bottom middle or bottom right. I like knowing right off the bat that it's a husky type dog. Very nice stuff. Not going to spend much more time in Zbrush. Once I finish the goggles, neck stuff, and some mini accessories, it will be time for retopo. The challenge is to use dDo and nDo so thats where the rest of my time will be spent to make her look awesome. Got her fully retopolo'd today. Have a few adjustments to do but for the most part she is all there. I need to add a few more hair strips for the back of her head underneath the hat. 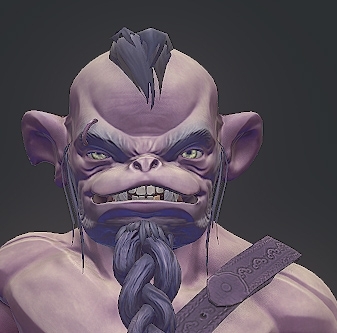 I also have yet to implement the teethe and tongue, but the mouth-bag is completely there. I think final poly-count will be around 4800-5K. I did do a test bake I can share. This is without any edits. Normal & Diffuse only. Now begins the fun part and the heart of the challenge. 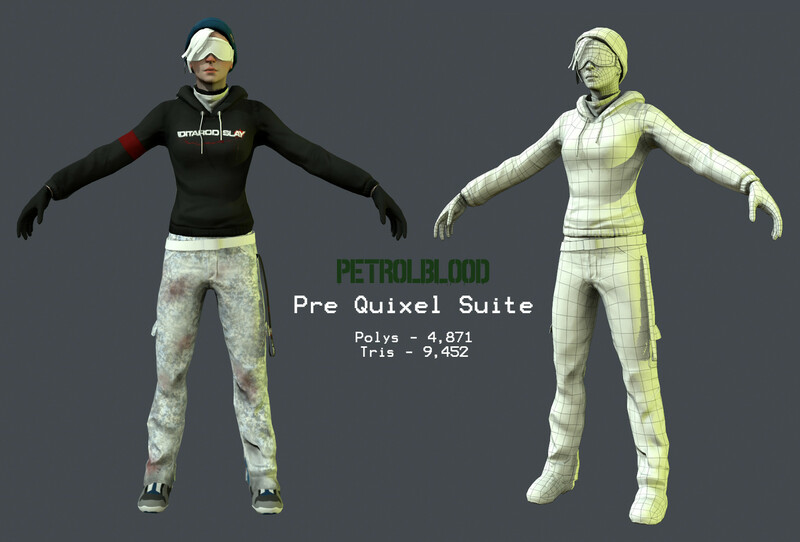 Time to Quixel it up.